Terry Stamm, a Color Glo Franchisee in Kansas, went with a group from his church in February to work on hurricane-damaged homes in Houston. They make annual mission trips to areas where they can make a difference. 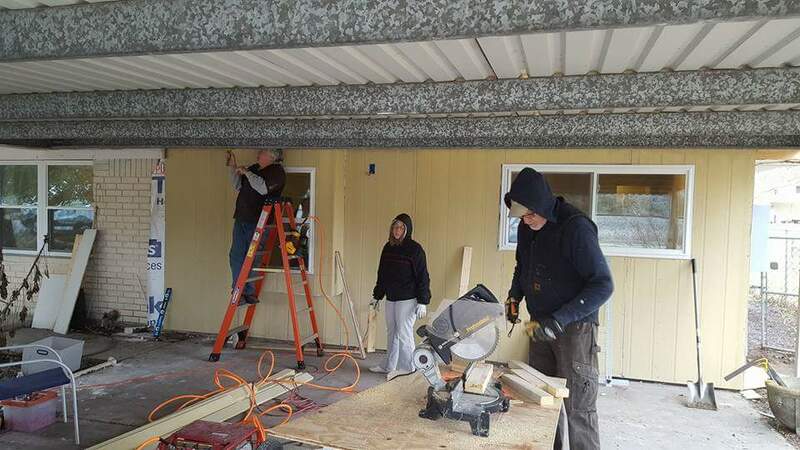 They worked on removing and replacing the exterior siding and soffit, put down a tile floor in a bathroom, laid vinyl flooring throughout a house, replaced 6 windows, 3 doors, painted and textured walls and so much more.